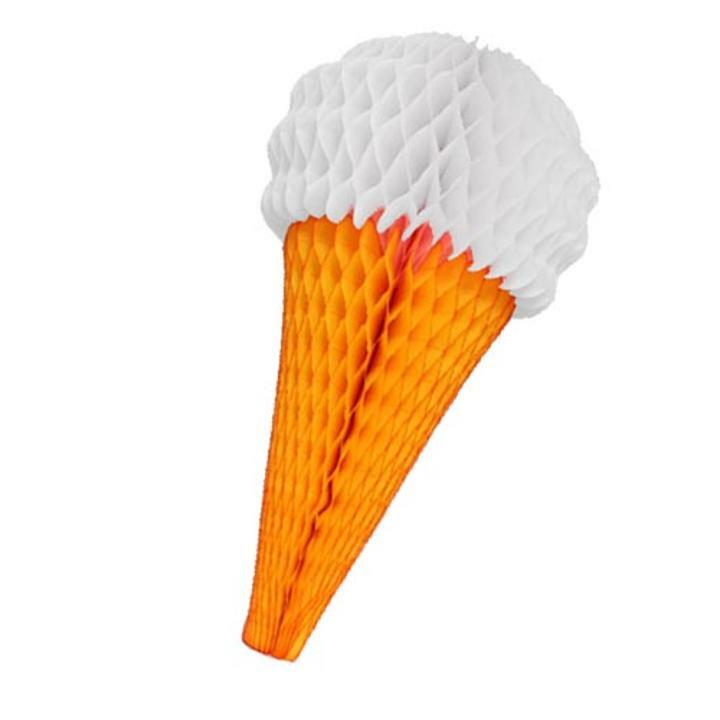 Hang our adorable Vanilla Ice Cream Cone decoration at your next birthday or theme party. This unique honeycomb decoration will last long after the ice cream you serve melts! Use a single Vanilla White cone or pair with our Chocolate Brown and strawberry cones for a more colorful look.